You’re reading novel Chaotic Sword God Chapter 803: Gathering At Changyang Manor (Three) online at LightNovelFree.com. Please use the follow button to get notification about the latest chapter next time when you visit LightNovelFree.com. Use F11 button to read novel in full-screen(PC only). Drop by anytime you want to read free – fast – latest novel. It’s great if you could leave a comment, share your opinion about the new chapters, new novel with others on the internet. We’ll do our best to bring you the finest, latest novel everyday. Enjoy! In the blink of an eye, several dozen people appeared in the sky above the Changyang manor. Most of them wore white robes and rode on white clouds condensed from Radiant Saint Force. They were Radiant Saint Masters, while the other people were fighters of various ages and attires. The group of people quickly left the s.p.a.ce Gate and surrounded the entire estate from the sky. One of the old men casually swung his hand, and a barrier enveloped the entire manor. The barrier even extended into the ground, cutting off any means of escape through secret pa.s.sages in the earth. From the City of G.o.d of the Holy Empire, the people from the Radiant Saint Master Union had finally come. The sudden change in the situation raised the attentions of all those in the manor. The guards, who had relaxed after the departure of the siblings, became alarmed once again. They looked at the sky with grim expressions and many of them immediately paled, especially when they saw the barrier around the entire manor. This was because they knew it was the doings of Saint Rulers. Uncle Chang also discovered the occurrence in the sky and temporarily put his sorrows to one side. With a thought, he flew in the sky by controlling the energy of the world. He soon glanced past the many people, and when he saw the cloud-riding, white-robed Cla.s.s 7 Radiant Saint Masters with purple badges he immediately became extremely grim. “Correct, we are people from the union. This is my master, the president of the Radiant Saint Master Union. Why don’t you hurry up and kneel before the president of the union?” A middle-aged man beside the president cried out as he pointed at Uncle Chang. He was the second disciple of the president, Yun Tian. “Junior Chang Wuji greets the esteemed president.” Uncle Chang quickly clasped his hands at the president and spoke extremely politely. The president of the Radiant Saint Master Union indeed possessed strength worthy of his respect. However, he did not kneel, as other than a few people, such as his master that had disappeared for several centuries and the old madam, he felt like no one else had the right to get him to kneel, even if it was the president of the union. Yun Tian immediately became angered when he saw that Uncle Chang did not kneel. He had enmity with Jian Chen even before Jian Chen took away the saint artifact. As it had severely hurt his chances at reaching Cla.s.s 7, Yun Tian’s hatred for Jian Chen reached a bone-deep level. He was unwilling to easily let anyone who was related to Jian Chen go. “Impudence! You, a mere servant, won’t even kneel before the president of the union? You’re courting death!” Yun Tian cried out at Uncle Chang. “Yun Tian, don’t be rude!” The president extended a hand to stop Yun Tian. Although Jian Chen had taken the artifact of the union, he also knew that the artifact had run to Jian Chen itself and it was not Jian Chen who intended on taking it. As a result, the president did not want to weaken his relations.h.i.+p with Jian Chen because of the Changyang clan. After all, there was still room for fixing everything right now. “Esteemed president, the fourth young master has already left. Even this old servant has no idea where he has gone.” Uncle Chang said calmly, without becoming frantic at all. “Master, since Yang Yutian’s not here, we might as well invite all the people of this Changyang clan to our union. Once Yang Yutian comes back, we can directly get him to come to the union to pick them up.” Yun Tian said from beside the president. The president did not reply to Yun Tian and instead continued, “Do you perhaps know when Jian Chen will return?” Unless push came to pull, the president did not want to offend Jian Chen’s family so easily. If he had angered Jian Chen, Jian Chen could hide the artifact or gift it to another powerful organisation. That would be the union’s irrevocable loss. “This old servant also has no idea when the fourth young master will return.” Uncle Chang said. “President, we might as well do what Yun Tian suggested and take these people away. As long as we have control over these people, I don’t believe Jian Chen won’t just obediently hand over the artifact.” An elder from the union suggested from behind. “President, I support this idea. We have no idea when Yang Yutian will return, and we can’t always leave so many people here. And there must be Yang Yutian’s relatives in this group of people. As long as we have control over them, he’ll appear very quickly.” Another elder seconded. “Correct!” The president replied expressionlessly. He could not wait a hundred years. He really had no idea what the union would turn out to be like after a century. With that, all the people from the union changed in expression. What Uncle Chang had said was essentially completely overlooking the union. It sparked a flame of anger in them, people who had lead comfortable lives because of the union. “You’re looking to die!” A middle-aged man in tight clothes immediately roared out angrily. With a palm strike, the invisible World Force surged towards Uncle Chang, while the s.p.a.ce around him froze too in that very instant. He was completely immobilised. The invisible World Force mercilessly collided with Uncle Chang. With a groan, he immediately turned sheet-white and constantly spat out mouthfuls of blood. At the same time, the s.p.a.ce around Uncle Chang returned to how it was before. He no longer remained levitating and fell out of the sky. Below, several Earth Saint Masters all cried out in alarm. Immediately, several of them shot over to catch the falling Uncle Chang. Every single one of them were currently filled with worry. They knew that this time, the Changyang clan faced an extremely great problem. They had directly offended the Radiant Saint Master Union. They were a heavyweight power from the Holy Empire, much more powerful than Qinhuang Kingdom of the eight great kingdoms. The disparity between Heaven Saint Masters and Saint Rulers was just too large. All those below Saint Ruler were ants. Even though Uncle Chang had reached the peak as a Heaven Saint Master, he remained as fragile as ever before a Saint Ruler. No one could stop what the middle-aged man had done, even if it was the president or the grand elder. Although they did not want to fall out with Jian Chen, they had their own bottom lines. What Uncle Chang had said before was already pus.h.i.+ng the boundaries of the union. The old man nodded slightly before directly ripping open the s.p.a.ce. He set up a s.p.a.ce Gate to the headquarters of the union, about to take all the people from the clan back to the headquarters of the union. Suddenly, with a m.u.f.fled sound, the huge barrier around the manor was shattered. Four figures had appeared outside the barrier at an unknown time. Two were male while the other two were female; they were the couple and siblings from the protector Changyang clan. Changyang Zu Yunxiao and Changyang Zu Yeyun narrowed their eyes and gathered their attention at Chang Wuji. Shortly afterwards, both of them gently shook before suddenly appearing next to Chang Wuji in the next moment. The light in their eyes flickered while they looked at Chang Wuji with a rare excitement. At this time Chang Wuji was already an old man in his seventies. His appearance had undergone a complete change from before so the couple could not recognise him for some time. “You… you’re Chang Wuji?” Changyang Zu Yeyun asked with uncertainty. Her voice was filled with hope. Currently she was extremely tense and she worried about whether or not this was the Chang Wuji she was searching for. The older members of the Changyang clan around Chang Wuji all looked at each other, while they glanced at the middle-aged couple from time to time. They all could guess the couple’s ident.i.ty, but none of them dared to speak out. They were definitely Saint Rulers to be able to break a barrier cast down by Saint Rulers. Looking at the middle-aged woman, Chang Wuji immediately became moved. Turbid tears immediately began to run down his face like a hot spring. He struggled as he attempted to stand up, and said with a trembling voice, “Old- old madam... old- old master… this- this- this servant is Chang- Chang Wuji… Chang Wuji greets the old- old madam and old master, cough cough cough cough…” Uncle Chang had been struck by a blow from a Saint Ruler. Even though the person had held back, he was heavily injured to the point that he even struggled to speak, stuttering a lot. Towards the end he uncontrollably coughed up another few mouthfuls of blood, dyeing his clothes red. 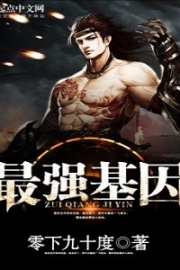 You're reading novel Chaotic Sword God Chapter 803: Gathering At Changyang Manor (Three) online at LightNovelFree.com. You can use the follow function to bookmark your favorite novel ( Only for registered users ). If you find any errors ( broken links, can't load photos, etc.. ), Please let us know so we can fix it as soon as possible. And when you start a conversation or debate about a certain topic with other people, please do not offend them just because you don't like their opinions. You're reading Chaotic Sword God Chapter 803: Gathering At Changyang Manor (Three). This novel has been translated by Updating. 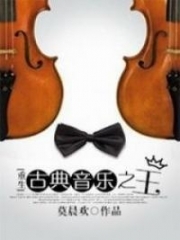 Author: Xin Xing Xiao Yao already has 12219 views. Current Time is Apr-22-2019 18:24:18 PM.